McLaren Life > McLaren Forum > Other Road Cars (SLR, M6GT, M81) > Koenigsegg Jesko. McLaren could learn a few things. Koenigsegg Jesko. McLaren could learn a few things. The incredible Jesko, once again, shows what a small manufacturing operation can accomplish. Instead of depending on other companies to build their engines and transmissions like McLaren does, they've once again built a phenomenal powerplant and a marvel of a transmission, in-house. Like Ferrari, Mercedes, Bugatti, AM, Koenigsegg. Why can't McLaren manage to do the same? eMcL, Vipertestarossa and rnixon like this. Not sure if this was posted already 'Koenigsegg's Affordable Supercar' …. Interesting electronic valves no traditional camshaft but rather its main functions are performed by electronically-controlled valve actuators, called 'freevalve' technology. 'Affordable' and 'carbon fibre wheels'. Mikeyb and Twinscroll like this. It's not that hard to develop that stuff in-house if hour budget per car sale is $2.8M. In the Koenigsegg equation, something has to give. In light of their production volumes, either their technology is not all that innovative, their development and testing is quite limited, or they are being subsidised from the outside. We have a pretty good idea of what it costs to develop cars that are capable of Koenigsegg speeds: developing the Veryron supposedly cost VAG close to $1b, and even the Speedtail (which in a number of respects is a derivative of existing McLaren models) cost a big portion of the total revenue that McLaren will generate from selling the 106 cars. I'm not criticising Koenigsegg, just observing that the likelihood that in 2019 a small company can figure out what medium-size and large, far more experienced car manufacturers can't figure out, or can't equal for the same unit cost, is not great. But consider that their annual production is somewhere around 25 cars per year. ima2nr and rnixon like this. Alfa Romeo 4c has a full carbon fiber chassis and the whole car costs less than 70k. 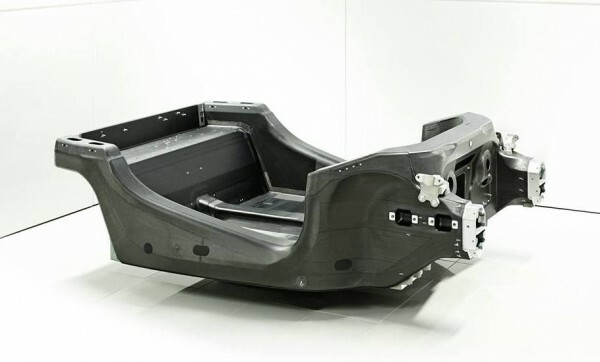 BMW I3 has a carbon fiber chassis (with some aluminum parts) at a low price too. It might be a mild stretch, but McLarens could all be considered to be assembled kit cars, with engine and transmission from other suppliers. Nope. Major manufacturers share platforms, engines and transmissions. Graziano supplies Ferrari, Lamborghini, Audi, Maserati, Alfa Romeo and Aston Martin, in addition to McLaren. Thanks for sharing. It's amazing how enthusiastic he is to share their technical detail. It's unfortunate that they won't be relying on IC engines for too much longer - their approach to design could work wonders there. Mikeyb, ima2nr and Twinscroll like this. The Alfa carbon tub is made in a similar way to the 570 afaik?